Dove Invisible Dry has teamed up with Olivia Rubin to encourage women to ditch the trusty blacks and greys and inject more colour into their wardrobes – all to celebrate a new campaign for Dove Invisible Dry deodorant, now proven to leave no white marks on a remarkable 100 colours. Throughout the month of June on dove.com/colourconfidence, women can upload photos of themselves being colour confident for the chance to win a bespoke capsule collection exclusively created by the designer for Dove. As someone who does tend to live in black and white clothes the recent warm weather has urged me on to wear a little colour and it really is true what they say - a bright t-shirt, dress or whatever can help to uplift your mood and even help you feel more confident. 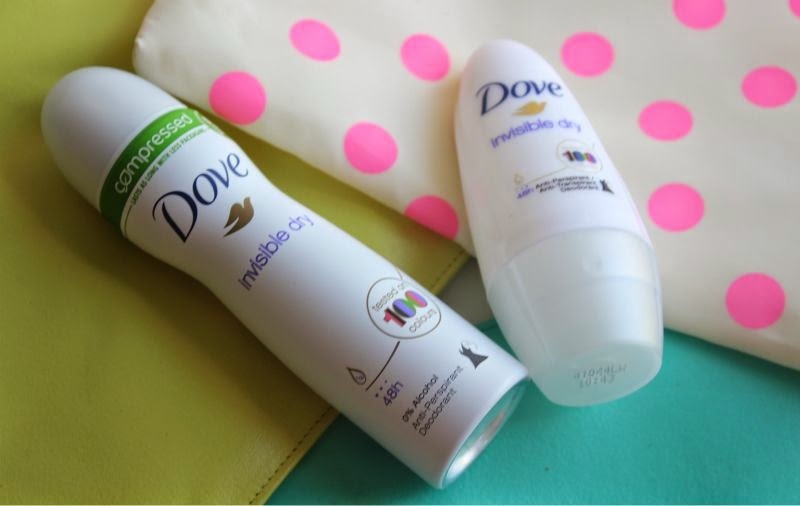 It only made sense to try out Dove Invisible Dry deodorant during the current warm weather - I mean any deodorant can hold its own in cool weather but add heat and sweat to the mix and that can be a different story. I personally prefer roll on deodorants - yes they take a little longer to dry but they work best for me. Each day for a week I slicked on Dove Invisible Dry deodorant and went about my day in various bright tops checking for wet patches (lovely I know), powder residue and staining on my top. On all three fronts the Dove Invisible Dry deodorant passed the test and more importantly for it didn't irritate my skin - I struggle with deodorant, many leave my arm pits red and itchy but not this one. If you are looking for a non-staining (no matter what colour you wear, yes monochrome too ha) and effective deodrant then make this your next purchase. You can find the Dove Invisible Dry deodorant range via Boots - link with prices starting at £2.79.